To honor the Astrid Lindgren Memorial Award, the National and University Library of Bosnia and Herzegovina (NULB&H), arranged meeting with nominated candidates for the 2012 award, along with a Pippi exhibition! “Pippi Longstocking in the World of Bosnian-Herzegovinian Literacy” opened on January 31st. 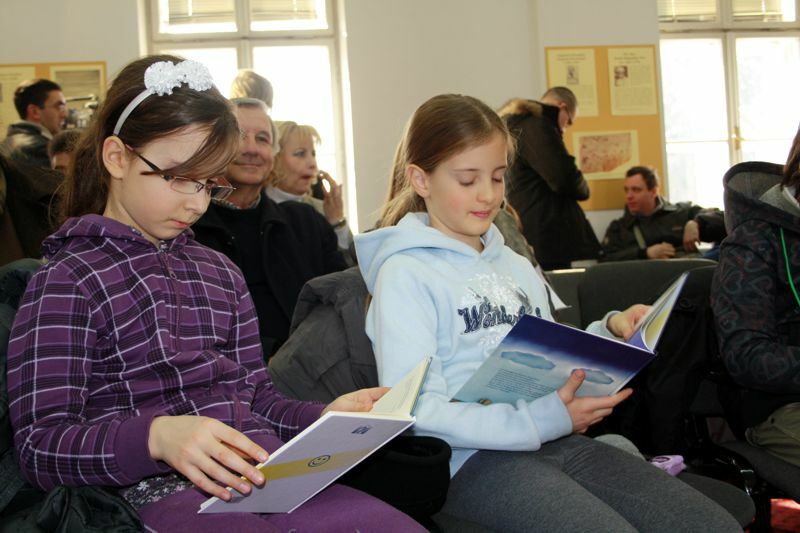 The audience where not only reading promoters but also children and pupils who had the chance to mingle with famous writers, and listen to stories and poems by Bisera Alikadić, Mirsad Bećirbašić, Ferida Duraković, Šimo Ešić, Nura Bazdulj Hubijar, Ljubica Ostojić and Ranko Pavlović. NULB&H has nominated candidates from Bosnia and Herzegovina for five years. For this year, the nominated candidates are Ferida Duraković and Ranko Pavlović. Now it´s official, Shaun Tan is one of the guests at the literature festival in Lillehammer, Norway, in May. The Norwegian Festival of Literature is the largest literature festival in the Nordic countries. Its main focus is Norwegian contemporary literature and the interaction between literature and society. This year’s theme is MONEY. Does money make us happier? Is money the root of all evil? Norway has gone from being a poor fishing and farming community to become the world’s richest countries. How has the great prosperity affected the Norwegian authors and the way we write about? Link to the Festival’s web here. “Children need art and stories and poems and music as much as they need love and food and fresh air and play,” according to Philip Pullman, 2005 recipient of the Astrid Lindgren Memorial Award (ALMA). Pullman is one of the 11 laureates featured in an exhibition marking ALMA’s 10th anniversary, to be staged at the world’s biggest book fair for children’s and young adult literature in Bologna, Italy. The Astrid Lindgren Memorial Award (ALMA) is 10 years old this year. For a decade now, the award has promoted interest in children’s and young adult literature around the world. The anniversary celebrations start at the Bologna Children’s Book Fair, from 19 to 22 March, where a number of ALMA laureates will take part in various seminars. Australian author Sonya Hartnett is one of the laureates visiting Bologna to mark the award’s 10th anniversary. She will be discussing the importance of children having access to good books with fellow author and laureate Katherine Paterson. “A quality book for young people should leave them a different and slightly better person than the one they were when they began reading the book,” says Hartnett. The laureates taking part in the Bologna event are Kitty Crowther, illustrator (Belgium, 2010), the Tamer Institute for Community Education, promotor of reading (Palestinian territories, 2009), Sonya Hartnett, author (Australia, 2008), Banco del Libro, promotor of reading (Venezuela, 2007), Katherine Paterson, author (USA, 2006), Ryôji Arai, illustrator (Japan, 2005) and Lygia Bojunga, author (Brazil, 2004). The programme for the Bologna Children’s Book Fair will be available shortly on the Fair’s website. The recipient or recipients of the 2012 Astrid Lindgren Memorial Award will be announced to coincide with the Bologna Children’s Book Fair. The announcement will be made on Tuesday 20 March, at 1 pm, at Astrid Lindgren’s Näs in Vimmerby, Sweden. It will be broadcast via a live link to Bologna and online at http://www.alma.se/en. Charlotte Gastatut's Fanny's amazing journey, Josephine Angelini, photo: Theo and Juliet, and Book cover bajskorv by Stephanie Blake. 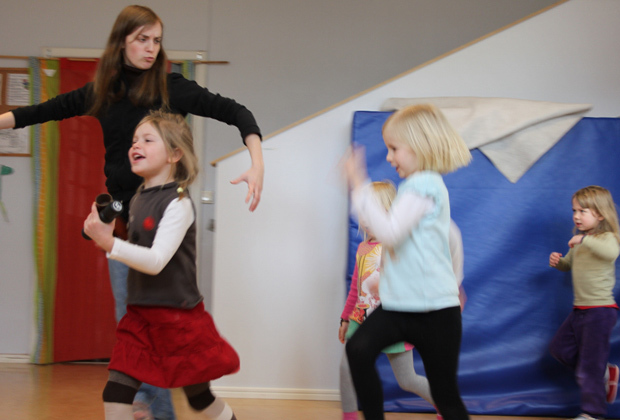 LitteraLund Festival, one of Sweden’s important arenas for children and young people’s literature, has launched their program for April 16-21. This year’s festival focus on subjects such as Children’s dominion – chaos and order?, Fantasy and the Youth book here and now. Johan Unenge, Sweden’s first ambassador of reading will participate, this year’s ALMA recipient or recipients will be presented, and children’s favourite Alfie Atkins will be celebrated as he’s turning 40! Among the international guests are the French illustrators Stephanie Blake (the series of rabbit Simon) and Charlotte Gastaut (Fanny’s amazing journey, 2011, and Thumbelina, 2012), and debutante Josephine Angelini (USA) who created the romatic action of Greek mythology. 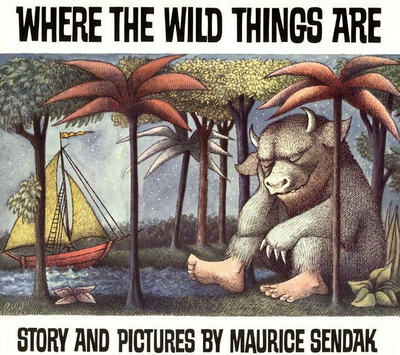 USA Today has published a list of the 100 “Greatest Books for Kids,” ranked by Scholastic Parent & Child magazine. Two Astrid Lindgren Memorial Award recipients, Maurice Sendak (2003) and Katherine Paterson (2006) can be found on the list. 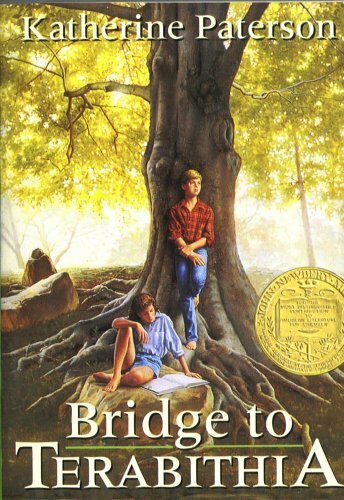 Bridge to Terabithia made it to number 71, while Where the Wild Things are took a top ten position. Check out the full list here. Shaun Tan´s The Lost Thing is about to be available for the Swedish readers. This brilliant book will be launched in March by Kabusa Agency. 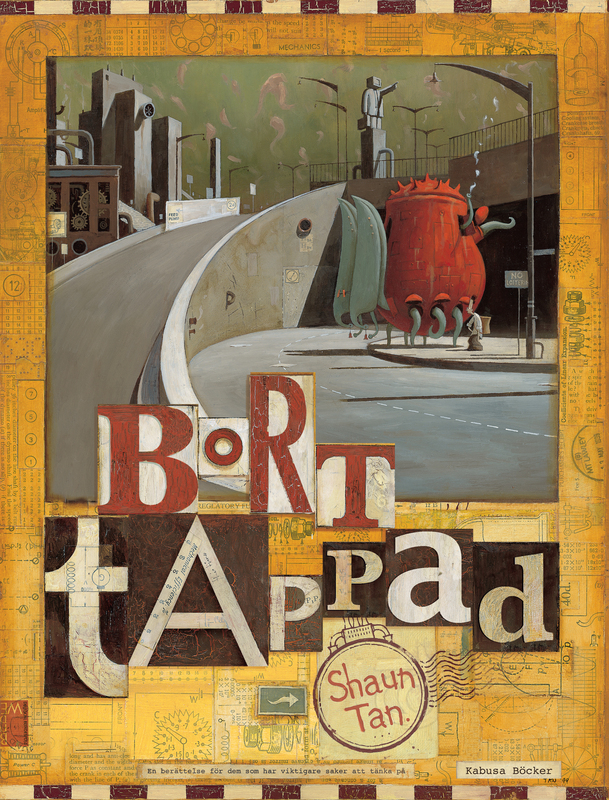 “Borttappad” is Kabusa’s third book by the 2011 ALMA recipient Shaun Tan. Last year Kabusa published Det Röda Trädet (The Red Tree), while Ankomsten (The Arrival) came in 2010. Both books have been tremendously well received in Sweden, and have been published in several editions. As you might know Shaun Tan adapted the The Lost Thing into an animated film, which received an Academy Award Oscar for Best animated film last year. Here’s a beautiful clip from YouTube, a live recording with music from the film, composed by Michael Yezerski. 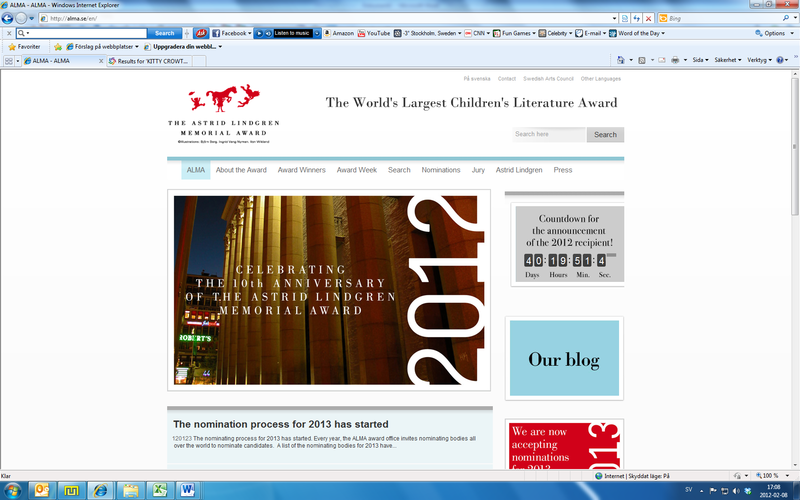 Six weeks to go to the announcement of the 2012 Astrid Lindgren Memorial Award recipient. Or, to be more exact, 40 days, 19 hours, 51 minutes and 40 seconds, from…. NOW! Follow the countdown on our web. Preschool children are better at language through improvisation. One of the examples at bolla.se. Swedish Arts Council has launched a top new national web site focusing on children’s and young adult culture. The aim is to inspire educators, officials and other kinds of cultural practitioners by showing good examples within various areas of art (from literature, architecture and art to museums, circus and play). Visit www.bolla.se (an English version is coming up shortly). We like! What’s on in Sweden with reference to literature? Well, the project Young storytellers give children between 6 and 19 the possibility to write their own book without the “unnecessary interference from adults”. Another bolla example.